Here is my Corvette Proline 5 stringer! 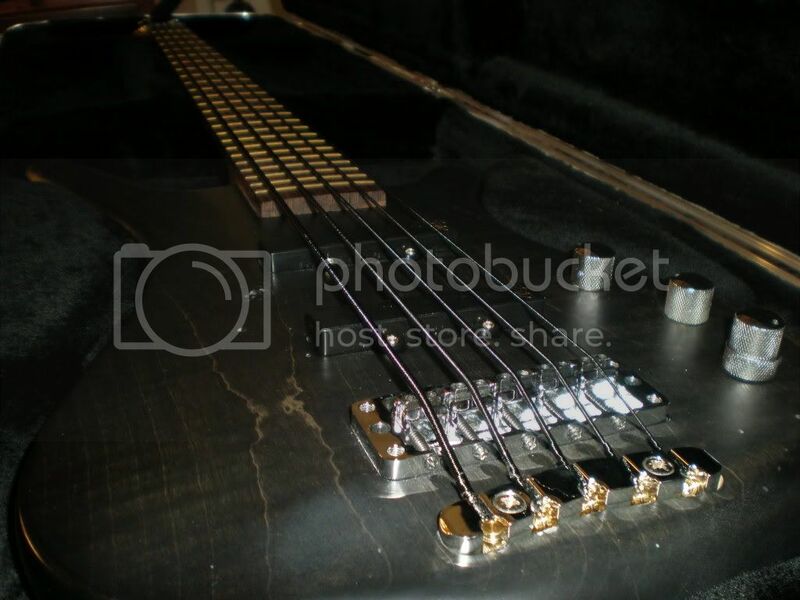 Strung with DR Black Beauties! 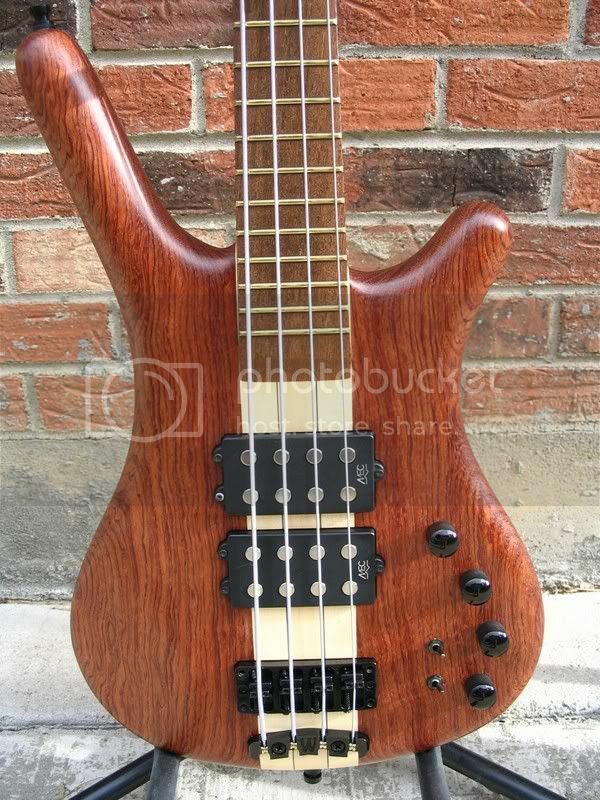 Awesome sounding bass. That bubinga Vette. is beautiful! Thanks mate! You just need = = in the title of the thumb club, and the clubs will match too!! mate, you're my hero... I reckon it would be cool to have all the clubs stickied...or in their own new forum!! Well here goes my $$. 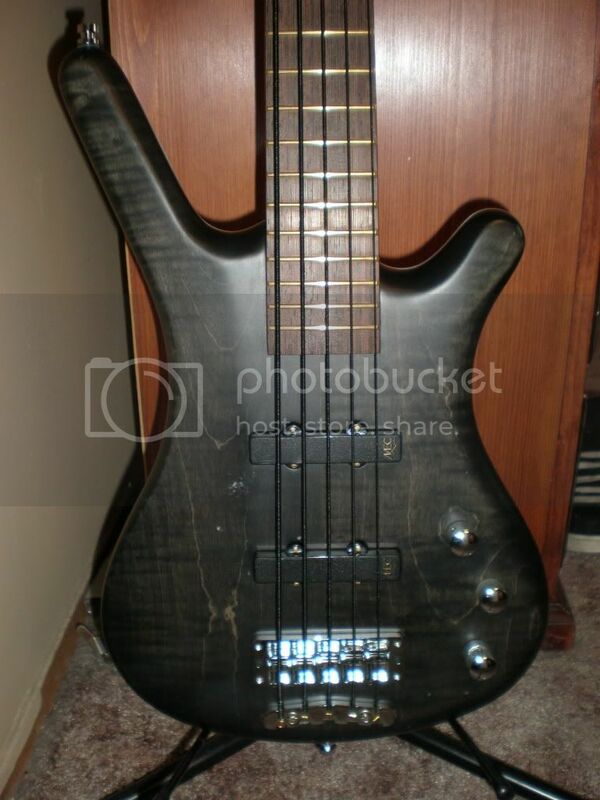 I had to pay a little etra to get the hardware swap at Dana B but i think it did pimp my bass quite a bit. Some people say that looks like a Streamer now. 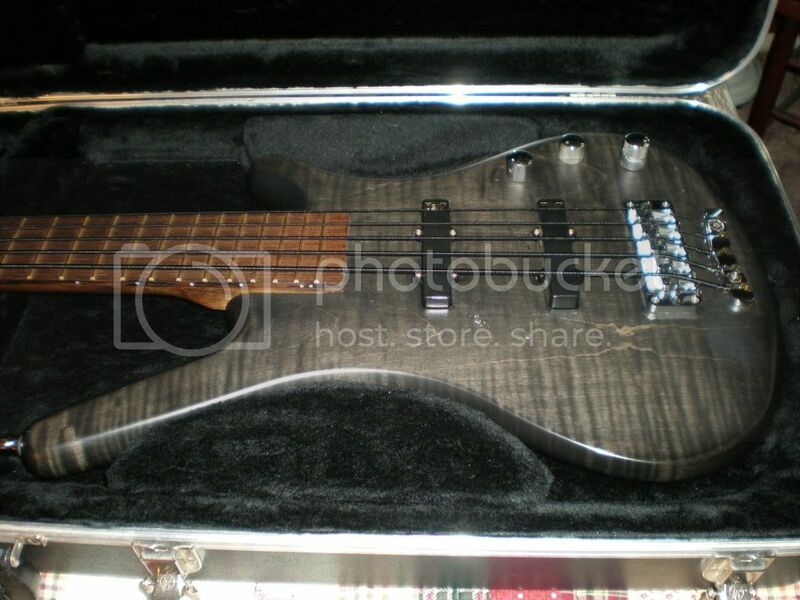 i like it and I wax it every week since it is a 2007. the sound....... well many things have been written regarding this bass because of the double humbuckers that I will not elaborate on it. I just enjoy the sound flood it comes from them. Yeh the gold looks awesome!! thanks. 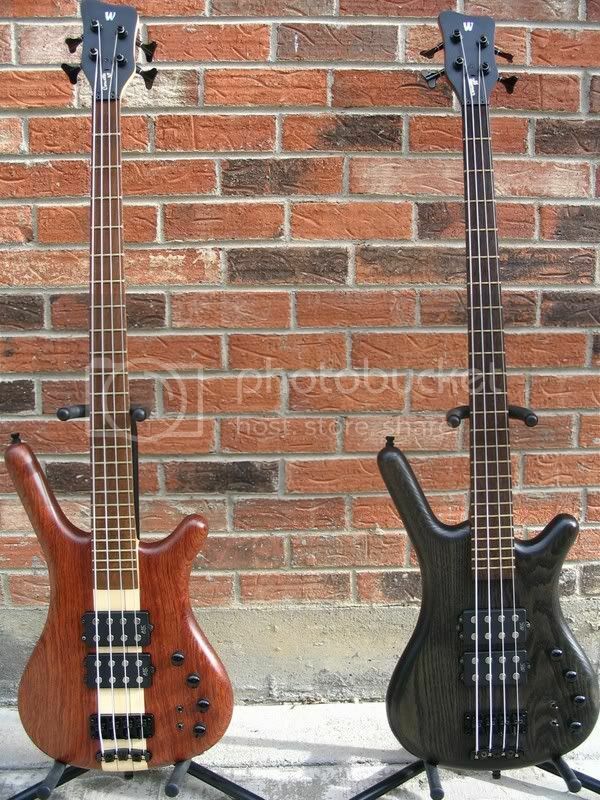 i had seen this bass in black hardware and did not look appealing so i asked my dealer before purchasing to find out the extra charge for the hardware swap and i could not say no. I haven't liked the corvettes for a very long time now but some of these double bucks (especially the NT one) have got me GASin for one. Great stick trujo777! is this one of your candidates for mock ups now? if so let me throw you a full body pic front and back. Maybe, thanks for the good clear photos. I'll save them for future mocks. Guys, see if you can make sure the pics are viewable from this page...not by having to follow links. Can offending members edit theirs please?? lol! come back home to the stubby arms "Greg"
+1! I haven't seen bubinga pommele on a 'Vette. Looks like my Thumb NT! 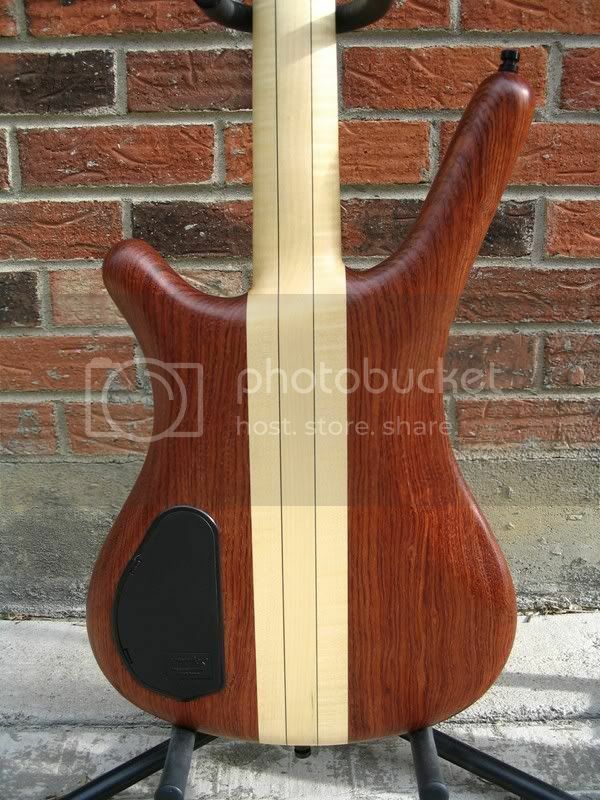 I'm in love with that fretless fretboard. It's so cool. It's like someone messed up and got the wrong piece of wood (of course this is not the case).